"Pat was our anchor, it didn’t matter if we thought we were in dire straits, he was the guy that anchored us. I’ll be honest, without Pat Torpey, the wind has been taken right out of me." 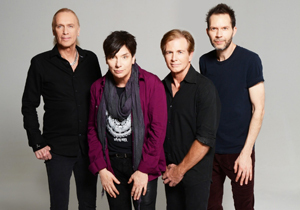 Eric Martin, MR. BIG frontman, had a very successful career as a solo artist; he contributed "I Can't Stop the Fire" to the movie soundtrack for Teachers, as well as "These Are the Good Times" and "Eyes of the World" for movie Iron Eagle. 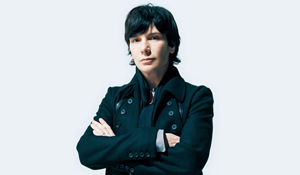 Eric Martin released a self-titled album – Eric Martin in 1985 and was followed up by 1987’s I'm Only Fooling Myself. Just as he was getting things going with his career solo a artist he got the call to be a part of MR. BIG in 1988 which included drummer Pat Torpey [TED NUGENT, IMPELLITTERI], bassist Billy Sheehan [DAVID LEE ROTH, TALAS] and guitarist Paul Gilbert [RACER-X]. They released the critically acclaimed Mr. Big album in 1989 but it wasn’t until 1991’s Lean Into It that things blew-up for MR. BIG. The [acoustic] single “To Be With You” was a smash and while it was not characteristic of the hard driving rock band that MR. BIG was, who would turn down selling records? 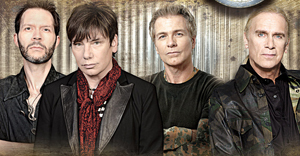 MR. BIG released a CD/DVD package Live From Milan on July 13th and Martin caught up with KNAC.COM about the live package and the future of MR. BIG. Albums don't fly off shelves anymore and in 2018 not many albums sell. 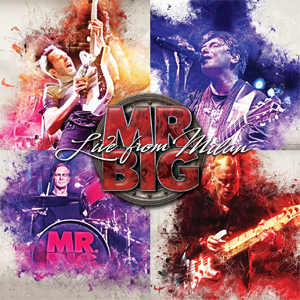 MR. BIG has issued countless live albums and live EPs throughout the years. There's so much product in live form out there by MR. BIG that Live From Milan might get overlooked. There is a specialness to this live album as it marks the last live recording to feature drummer Pat Torpey who passed away due to complications from his Parkinson's in February of 2018 at the age of 64. Live From Milan is an ‘unsweetened’ set with all the fan favorites like “Addicted To That Rush”, “Take Cover”, “Just Take My Heart”, “Alive And Kickin’”, “Green-Tinted Sixties Mind”, “To Be With You” and recent standouts, “Undertow” and “American Beauty”. KNAC.COM: I don’t mean any disrespect, but you’re promoting ‘another’ live package. This one is titled Live From Milan and it’s available as a double CD set with a DVD or Blu-Ray and vinyl. MR. BIG has several live packages out there, some domestic and other as imports. When you get approached about recording another live album, do you have to think about it much? MARTIN: You’re right, we do have a lot of live records out, they're different. I think the last one we did was another one of those live at Budokan records, which was at this huge gig. KNAC.COM: Live From Milan, much like previous live recordings, sounds unsweetened and very raw. When we do live albums; we’re more prepared and we’re tight and ready to go. For Live From Milan we were on the road and we received an email. We told the label wanted us to do a live record in Milan. I remember when I got to the venue, it was really hot and they had these swamp coolers. Those NEVER work! [laughs] It was so hot in there! I’m not saying that it was a Mr. Big ‘punk rock’ show but it was raw like that. KNAC.COM: Live From Milan is made even more special because it’s a tribute and remembrance to Pat Torpey. MARTIN: [long pause] Yeah. You’re right though, I wish that it wasn’t his last recording for obvious reasons. I helped put the package together, I saw him in those photos, smiling and just having a great time. Pat was our anchor, it didn’t matter if we thought we were in dire straits, he was the guy that anchored us. Here was Pat, really weak, fatigued, we had a couple more weeks before we could head home. He really wanted to go home and rest, but like the true workhorse that he was we’d get to show time and he’d get pumped up. I would say something like “Where’d you get all this energy all of a sudden? !” And he’d respond “It’s showtime!” [laughs] On that tour we’d do “Daddy, Brother” and Pat would be off stage singing then he’d join us on “Alive And Kickin’”. I'd introduce him and here he’d come always with a smile and this positive energy. He was my rock. I'd be hot and miserable and I'd look at Pat and I'd get to work and belt ‘em out. KNAC.COM: With the passing of Pat, where does that leave the future of MR. BIG? MARTIN: Well, as you know I do a lot of solo shows, I play solo acoustic shows anywhere from Moscow to Hood River, baby! [laughs] Billy has SONS OF APOLLO and THE WINERY DOGS, great bands and as you know has also has a solo career and he's working on a new album now. We are doing some touring this summer; we just got back from Australia, Thailand and China. We did some shows with EXTREME and it went over wonderfully. I don't know why we didn't think of that earlier? We're heading to Europe to do the European festivals, which should be fun. I've been home for about a week, but it hasn't been tilL the past two days that I've been reflecting on MR. BIG. I've been working with my partner Andre Pessis who I've worked with throughout MR. BIG’s existence. We're trying to get a jump on writing material for a ‘possible' MR. BIG album for 2019. That could very well be our last. We’re booked to do some touring in June of 2019. I’ll be honest, without Pat Torpey, the wind has been taken right out of me. Billy would miss it just as much as I do, but he's got enough stuff to keep him busy. Paul would probably love to get off the road, stay home and make solo records. We’ve been in this band for 30 years now, but without Pat Torpey there's a huge emptiness. I don't think we could find an equivalent to Pat. It's impossible. I suppose there’s a chance that Billy can talk me out of it but right now, I just don't know. KNAC.COM: You were on the first Mighty Morphin Power Rangers soundtrack, I know about that because my oldest who's now in his mid-20s was a Power Ranger fanatic. We saw the movie in the theater, bought the soundtrack and then bought it on VHS. How did you get approached to contribute to that? MARTIN: Yes, my kids recall that being the first time they heard me sing on a record. Keep in mind, I sang “To Be With You” countless times but the one they remembered was “Go-Go Power Rangers!” [laughs] I was signed to Capitol Records as a solo artist and the A&R guy was contacted because [producer] Ron Nevison had been contacted about producing the track. The label was putting together a band to perform the song. We were in the studio, we were giggling about it! [laughs] At the time I didn't have kids, or they were really young so they wouldn't hear it till later. We recorded to tape, I recall we bashed it out three times. I asked Ron, “Should we do it again?” He replied back “Nah, I'll just splice it together, use pieces from the three takes and make one really cool recording out of it.” Matt Sorum [THE CULT, VELVET REVOLVER, GUNS ‘N ROSES], who was the drummer on the song said, “Man, now we’ll never be able to do this live”! [laughs] I don't know if he had a brain fart but we were hired to do that song, nothing more. We didn't have any plans to do that live at any given time! [laughs] Being a part of that soundtrack brought in people that otherwise wouldn't know my solo stuff or my work with MR. BIG. It was pretty cool. KNAC.COM: It's a trip that it was Ron Nevison that produced that song because the guy lives somewhere in the area. I need to track him down to do something with him. MARTIN: You need to get him on the phone! He’s got stories! KNAC.COM: VAN HALEN was also on The Mighty Morphin Power Rangers soundtrack. KNAC.COM: If I recall, “Dreams” was used for the closing scene and played through the credits. Shortly thereafter you appeared on Sammy Hagar’s Marching To Mars, you did backgrounds on “Who Has The Right”. How’d you get approached to do that? MARTIN: I was in the studio at the Record Plant in Sausalito. I was doing some work with a Japanese artist named Akira Suto who became this huge artist in the anime world. We were using one room in the studio, the rest of the rooms were booked for Sammy Hagar. I ran into Sammy and he asks if I wanted to sing on the record. Of course I said yes. He said, “I also need to find someone with a high voice.” I replied, “How about Mickey Thomas [STARSHIP]?” Sammy said, “Yeah, let's get him!” [laughs] It was a blast! It was through that, at the time I was a huge [San Francisco] 49ers fan; Herbie Herbert, who managed JOURNEY, had a box right at the 50 yard line. Herbie was a close friend of Eddie Debartolo, Jr. [49ers owner]. It was through that relationship that I was given the opportunity to sing the national anthem three times. I got to know and became friends with Joe Montana and Roger Craig and all those star players from the 90s. I remember I was asked to perform at Eddie’s birthday party at the Hard Rock and was asked to put a band together. The core band was my solo band. I also invited guys like Neal Schon, Jack Blades and Mickey Thomas to make special appearances. What a great time with friends. In fact, in 1983 I had a deal with Elektra Records and I had written a handful of songs with Neal Schon which got the attention of Capitol Records, who I ultimately signed with. I wound up doing some movie soundtrack stuff with Neal later one. Good times. KNAC.COM: MR. BIG’s biggest hit, “To Be With You” is the antithesis of the bluesy, soulful, hard rockin’ sound which the band is known for. How do you feel about the song now? And who or what was the inspiration for the song since you brought that song to the band? MARTIN: I wrote the nucleus of the song when I was 17 years old. I wrote it about this girl that I really liked, she only wanted to be friends. I was like, “But we get along so well! Let's ruin it by falling in love!” [laughs] I carried that song idea in a gym bag full of cassettes with song ideas for the first album. I carried that along for years. I remember we were writing some songs and I remembered I had “To Be With You” on one of those cassettes. Paul and I were talking about our love for THE BEATLES and to me “To Be With You” has THE BEATLES written all over it, so I played it for him. He loved it. He played it for Billy who also liked the song. It wasn't brought up again until we were working on Lean Into It. Billy mentioned to [producer] Kevin Elleson that I had this great ballad he should listen to. Kevin loved it and suggested we get that on the record. We weren't concerned that it was a departure from our sound. As you know when radio and MTV got a hold of it the song blew up. I don't think that was a bad thing. We beat out Michael Jackson, RIGHT SAID FRED, then the pressure started to build. I remember thinking to myself “Oh my God, I hope we can sustain this?” Once the song started to slowly move from the top of the singles chart the pressure was off. Though it started its decline that song was on the singles chart for months.